Craig attended Utah State University studying under Glen Edwards, Prof of Art in Illustration. His first job and mentor was Larry Winborg at his studio: Winborg and Winborg. There he learned the art business and in 1976 started his own art studio. Craig was elected to the Society of Illustrators, New York, in 1976, and has been an active member since. His Illustrations have been featured in New York, the Society of Illustrators Annuals, and Illustration shows and publications over a thirty year career. My Pastels use a complexity of drawing overlays of color to create the intricacies of nature. My Oil paintings project historical color schemes with the hope of capturing light and mood within a moment in time. My work was featured at a four artist show at the Eccles Fine Art Center, at Dixie State College, “There are always stories to tell” that highlighted Artists who have made careers in Illustration and now show there Fine Art paintings in Galleries throughout the west. 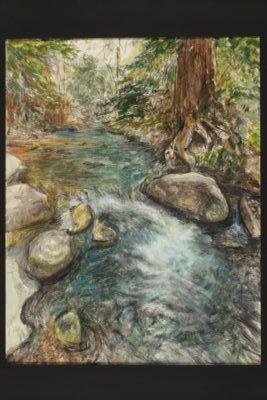 Craig’s paintings, pastels, and drawings have been featured in one person Gallery shows, the Springville Art Museum: spiritual and religious Art of Utah Show, the St. George Art Museum, Utah Images Show, Davis County Fine Art exhibit, and several times at the Dixie Invitational Art Show, winning awards in 2013, 2014, 2017. Craig supports and encourages art in the community, having served as the Chairman of the St. George Art Commission, and on the board of the Visual Arts Association. Craig is currently a Change Leader with the Utah Division of Arts and Museums.